This year’s calendar was printed for Fluvia for the second time. 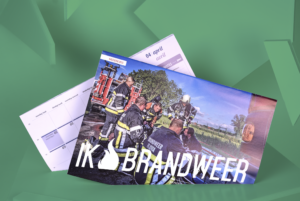 He is assigned to the 14 municipalities in West Flanders that joined Fluvia into a single emergency service zone for the fire brigade in 2015. The calendars are a promo means of supporting the activities of the fire brigade.